Buyers seize the opportunity to maximize rental income and/or living space with a three bedroom condo for the price of a two bedroom. This rarely available stylish home is the best value in town. Avoid traffic and hours commuting with this unbeatable location, minutes from Ala Moana, Waikiki Beach, and Downtown Honolulu. Don't miss the opportunity to own a remodeled condo with additional storage and low maintenance fees in a quiet boutique building. With brand new carpet, paint, and fixtures throughout, just move right in and enjoy contemporary living at it's finest. Granite counters in kitchen and bathroom enhance the modern cabinetry. Multiple pets are allowed with no weight restrictions. The huge ground floor lanai off the living room is the perfect retreat for pets, garden, or children's play area. 1 Parking Spaces. Assigned Parking Space, Street Parking. 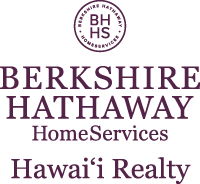 I am interested in 1524 Pensacola Street UNIT 118, Honolulu, HI 96822. Sign up for Inside AccessTM to view recent sales near 1524 Pensacola Street UNIT 118.